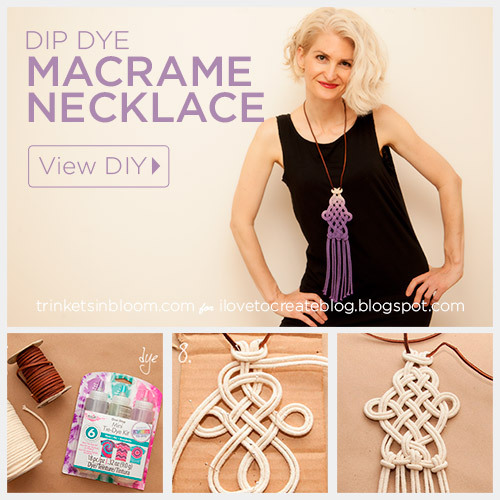 Get knotty and create one of the hottest accessory trends for summer a DIY Dip Dyed Macramé Necklace. 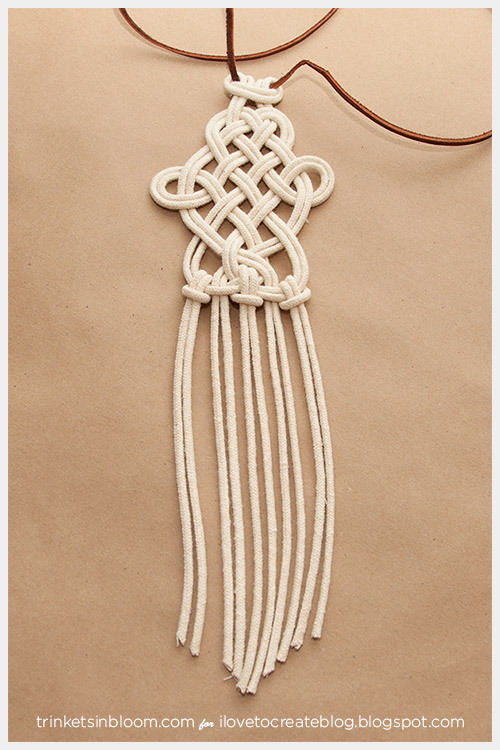 Fashion always gets a little more relaxed and bohemian in the summer, so what better way than with a little macramé and dye to embrace this awesome trend. 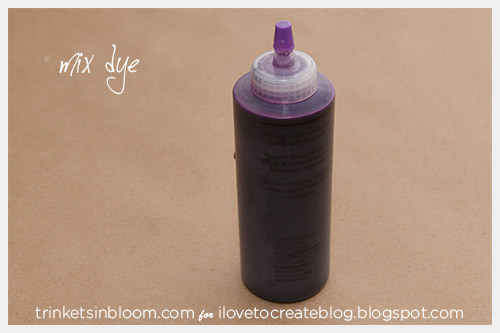 The Tulip One Step Dyes make this so easy to get just the right color without all the fuss. Let’s get started! I cut mine about 33”. Do what length works best for you. TIP: If your leather is really stiff you can get it wet with water. This will soften it and also help to smooth it out if necessary. 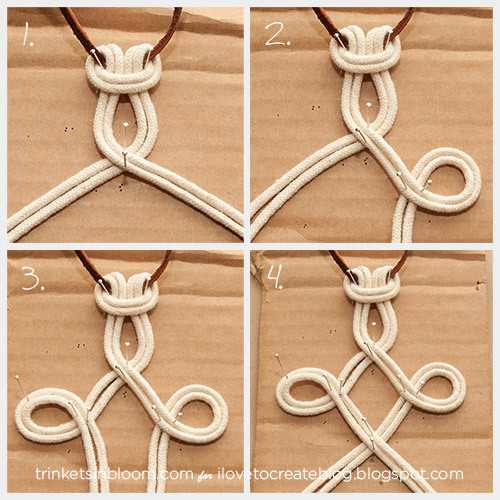 Cut 2 pieces of your cotton macrame cord, each one should be about 40 inches long. 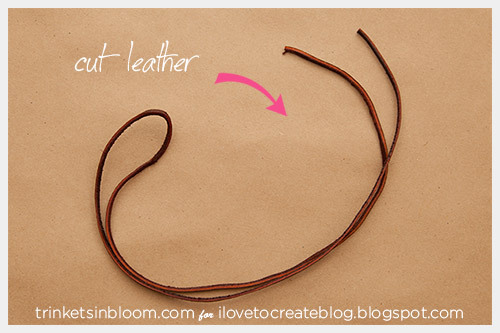 Loop your cord around your leather lace, as shown in fig. 1. 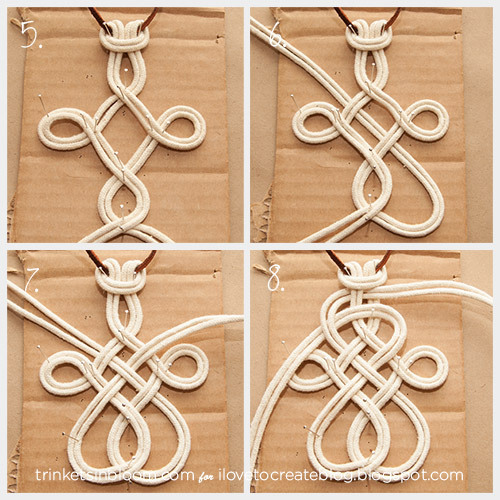 Lay your piece of cardboard down on a table or other hard surface and pin your top knot in place. Following the photos twist and wrap your cord and pin it as you go. 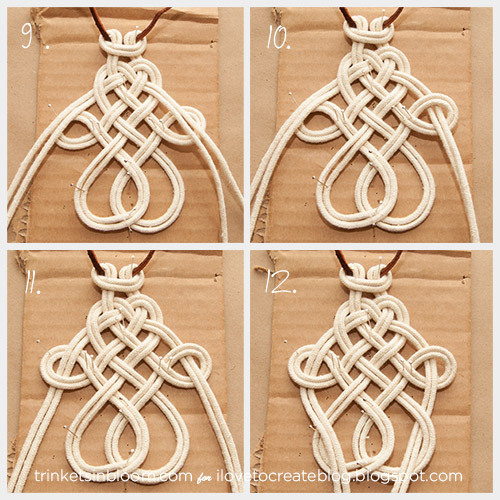 It's much easier to see the steps for the knot then trying to describe them. Please follow the steps in order and be sure to look at whether or not the cords are over or under each other. When you get to the bottom and you are finished with your design let your ends hang. If you want you can add some glue to hold your ends. I didn’t and I don’t think I’ll need to, they are holding just fine without it. But it is an option if you want. Cut 3 pieces of cord about 20 inches each. 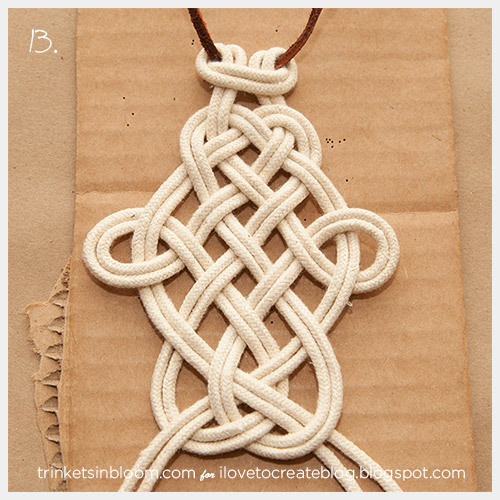 Loop each cord through the bottom loops on your knot to create your fringe along the bottom edge of your design. Mix up your Tulip One Step dye according to the instructions. TIP: I recommend adding about 1 inch of hot water and shaking really hard to get all the powder dye mixed, then fill the bottle with water and shake to completely mix. This helps to make sure all the dye gets mixed and you won’t end up with any lumps. 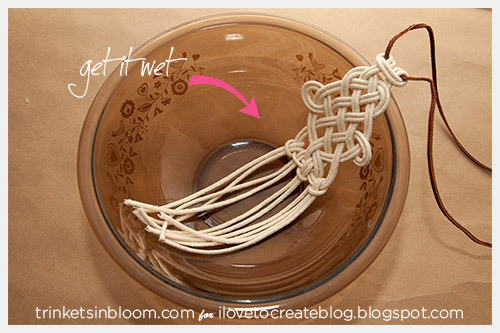 Get your macrame wet with water, this will help the dye to saturate the cord. Using a glass bowl or container lay your macrame along the inside of the bowl. Starting at the bottom of your fringe start squeezing the dye onto your design. 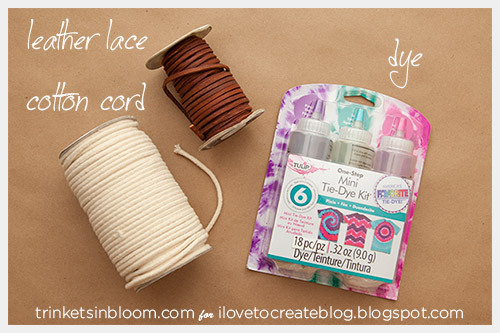 Squeeze dye all over your macrame where you want you dye to be. 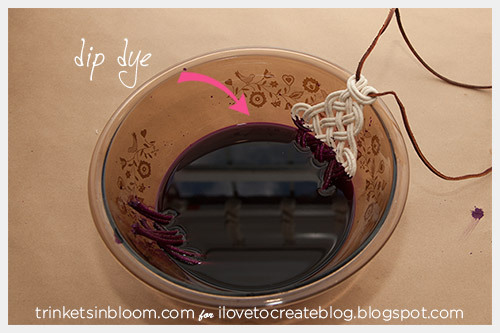 I also added some water to the bowl to give my macrame more dye to sit in. As it sat the dye crept up the macrame, so keep that in mind when you are deciding where you want your dye to be. 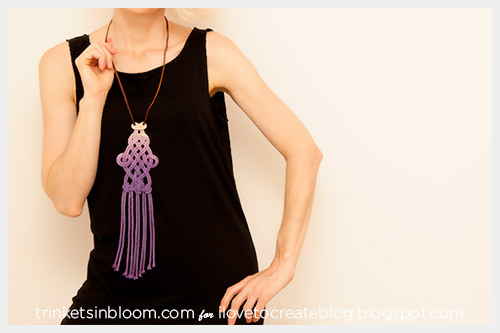 Let your macrame sit in the dye for a few hours. Rinse it out with hot water, until the water runs clear. 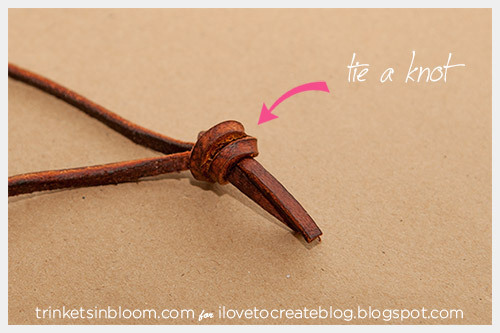 To see more fun fashion DIY tutorials, check out my blog Trinkets in Bloom. Simple to make, yet lovely! I improvised a bit to create a lantern. Not sure how I could share a picture, but thank you for sharing the instructions! great artwork. But 40 inches for every cord are not enough. We need at least the double dimension. How many ounces is the cording you are using?